Muscle and fat are two different things and they cannot from one to another because they are completely two different types of tissue. The myth probably started because some former weight lifters continue to eat more even though they have already stop weight lifting. Their muscle could also shrink from long disuse. Look for the one with the highest amount of protein serving when choosing a protein supplement. A protein supplement that has 50 grams of protein per serving may sounds more because it has a bigger measuring scoop or the serving suggestion may require more than one scoop. Look carefully at the serving suggestion label when buying a protein supplement. The longer I train in the gym, the more muscle I’ll gain. When you train in the gym for a long time, your body hits a catabolic state and it would lead to a plateau. A plateau is an inability to progress in training and it would last for months. A training session of 45 minutes to 1 hour would be ideal. I should seek training advice from a pro bodybuilder. 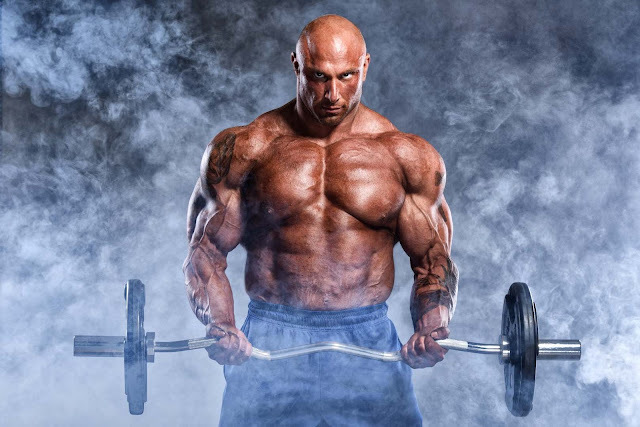 Many bodybuilders are big because of genetics and hard work. They may not have the correct scientific explanation as to how they got that way. People with the right genetics would train and diet incorrectly and still grow big. You should seek gym instructors or trained professionals. The more you sweat the more fat you lose. The amount of sweat does not necessarily reflect how hard you are working because some may sweat a lot due to heavy body weight, poor conditioning or heredity. Exercising in hot weather will make you sweat a lot and it looks like you have lost weight immediately but that lost weight is almost consisted of water in your body. The weights will return when you replenish your fluids by drinking after the workout. It should never be painful and if it is, you are likely injured from overtraining. When you over train, you would experience physiological and mental stress as well as other health problems.